This teacher professional development course addresses the numerous issues and content utilized for teaching gifted learners in K-12 educational settings. It identifies ways of helping teachers enhance the general classroom content for gifted learners. 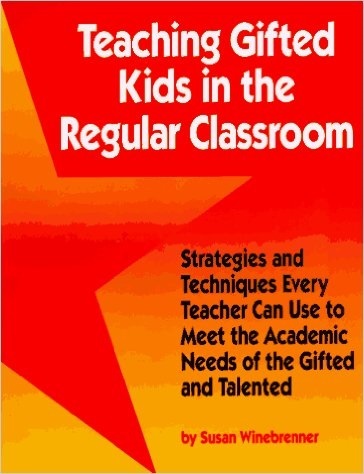 The book provides strategies to modify and implement lessons for challenging students of all ages and contents areas. Methods for enhancing creative and critical thinking skills as well as effective teaching strategies for subject areas are presented. Educators will research this topic and develop a written application essay or a unit /lesson plans or activity/project for classroom implementation. Educators will explore what it means to be a gifted learner, how to create a successful program and the basic beliefs and background about the education of gifted learners. Participants will review the categories of academically, intellectually and creative thinking giftedness. The areas of visual, performing arts and psycho-motor giftedness are defined. Using contracts and customizing strategies for differentiation are presented. Educators will examine issues such as underachievement, barriers to providing support for the gifted student and to understand this complex topic and for personalizing the program curriculum for gifted learners. Participants will be presented with eleven ways to differentiate instruction for gifted learners such as organization, teacher and student roles, techniques and strategies, special assignments and evaluation. Educators will learn about rubrics, instruction, enrichment and advanced placement strategies or for classroom implementation. Parenting Issues are also presented.